What is Aerolase LightPod Neo? Aerolase’s 650-microsecond laser technology offers a new form of treatment for efficient, effective and long-lasting results. This unique laser has been FDA cleared for the treatment of over 30 different conditions. 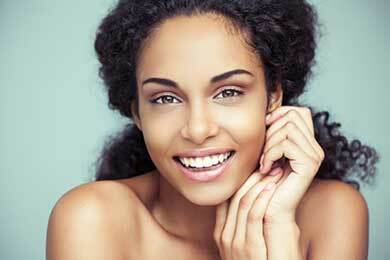 At the top of the list at New Life Aesthetics is face, neck and chest rejuvenation. The high-power, long wavelength laser energy has the ability to penetrate deep into the dermis compared to other laser treatments. This deep penetration into the skin allows for the laser to have optimal results when it effectively reaches and heats the sebaceous glands. The high temperature destroys bacteria in the sebaceous glands and reduces the amount of oil that is produced by the body. Further, this helps with the reduction of any swelling or inflammation, all while gently treating the skin. Deep heating of the tissue in the dermis stimulates collagen, targets acne-causing bacteria, and melanin in the epidermis. The end result is tighter, brighter skin, reduced hair growth, and fewer blemishes and vessels. A complete consultation will determine the recommended course of treatment. Typical treatments last 15-45 minutes. No anesthetics are needed and minimal to no discomfort is experienced. There is no notable down-time and guests may return to normal activity immediately following their treatment. With the technology of Aerolase’s LightPod Neo™, Meredith can target active acne, including stubborn cases, such as nodulocystic acne and acne conglobata. The light-based therapy provides an effective alternative treatment for all patients with severe acne regardless of age or skin type. This treatment is ideal for a guest that has not seen optimal results with use of traditional remedies and therapies. Additionally, the treatment is an alternative to oral medications or can be used in conjunction with most oral therapies. The powerful Aerolase laser offers a unique delivery of light that heats the bacteria in the sebaceous glands and surrounding skin to cause bacterial cell death and reduce oil. This helps reduce any swelling or inflammation. The LightPod Neo™ is a 1064nm laser which selectively targets water, melanin, and hemoglobin (the three main components of the sebaceous gland). Other lasers cannot sufficiently absorb water and thus are less effective for severe acne treatment. LightPod Neo™’s unique 650-microsecond laser pulse duration heats the sebaceous gland faster than the thermal relaxation time of skin, which minimizes the loss of heat through conduction to the surrounding skin tissue. This feature, along with the no-contact treatment is what makes this acne treatment effective and painless. LightPod Neo™ is the safest, and most effective and efficient laser therapy available for the treatment of moderate to severe acne. The LightPod Neo heats the sebaceous glands in the skin to reduce the bacteria that causes acne as well as treating water, melanin, hair follicles and hemoglobin to prevent further outbreak of acne. Meredith’s guest will receive a complete consultation prior to treatment and skincare for use at home will be prescribed to support the treatment regimen. Procedures take less than 30 minutes and Meredith’s guests can expect little to no discomfort with LaserPod Neo. Optimal results are typically observed after 2-5 sessions over the course of several weeks. The Neo™ can be used safely and effectively on absolutely any skin type, even tanned or darker skin tones, as well as pain-sensitive pediatric patients for conditions such as active acne. The Neo™ provides a uniquely gentle and pleasant experience for the patient due to the innovative 650-microsecond pulse technology and the lack of skin contact by the laser handpiece during treatment. The LightPod Neo delivers deep heat without the discomfort of traditional lasers. The heat delivered in the dermal layer of the skin turns on the fibroblastic activity which in turn creates new collagen in treated tissue. Pigment in the dermal/epidermal junction is effectively targeted and results in a clearer complexion. Hair follicular destruction, veins and other problem areas can be selectively treated with the 1064 nm wavelength. Meredith’s guest will receive a complete consultation prior to treatment and skincare for use at home will be prescribed to support the treatment regimen. Your treatment will not require any anesthesia and will last no more than 30 minutes in most cases. Minimal to no downtime is required and in most cases, you will be comfortable returning to normal daily activity immediately following treatment. In most cases, results are optimized at the third treatment. A maintenance treatment is recommended every 3-6 months. The LightPod Neo™ 1064nm laser is unmatched in terms of efficacy, safety and gentleness of treatment for permanent hair reduction for guests of every skin type. The laser selectively targets melanin (pigment) in the underlying hair and follicle, therefore ideally the treatment area contains dark hair. For guests that suffer from ingrown hairs, the inflammation and pigment is effectively treated surrounding the lesion. Because of the Neo™’s unique 650-microsecond pulse duration the energy passes through the skin quickly and does not overheat the epidermal melanin (pigment). This results in new levels of skin safety by avoiding pigmentary risk. Also, because skin cooling is not necessary during treatment and the hand-piece of the Neo™ does not contact the skin during treatment, the treatment is highly hygienic, fast and comfortable. Hair follicles cycle through periods of growth and dormancy. Laser hair reduction treats the actively growing follicles. For this reason, you should expect to treat the area 3-5 times, approximately 4-6 weeks between treatments. Length of treatment varies from 15-45 minutes. No anesthetics are used and minimal to no discomfort is experienced. There is no notable down-time and guests may return to normal activity immediately following their treatment. The LightPod Neo™ laser offers accurate precision and superior safety for treatment of facial and spider veins for guests of all skin types. The Neo™ combines the high affinity for hemoglobin and deep-heating power of a 1064nm laser, with the innovative 650-microsecond pulse technology for a unique blend of high power with a gentle, safe pulse duration. With Neo™, any facial vessels as well as leg telangiectasias are treated with ease and little or no discomfort. Most are cleared in just 1 or 2 treatment sessions. Laser light targets the hemoglobin in vessels and causes vascular collapse and absorption by the body in the weeks or months that follow treatment. Treatment typically takes 15-30minutes. For optimal results Meredith will recommend 2-3 treatments in a series, completed one to two months apart. No anesthesia or gel is applied to the skin and minimal to no discomfort is experienced. There is no notable down-time and guests may return to normal activity immediately following their treatment.